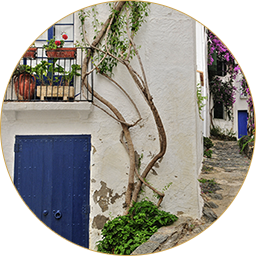 Home Advice Spain, your first step to carefree enjoyment of your Spanish house. Spain is a beautiful country to live in. But it also has its peculiarities. Home Advice Spain ensures that you can enjoy your stay in Spain to the fullest, without having to worry about the the purchase, sales, construction or the maintenance of your house. For more then 15 years we find our way in the Spanish housing market. Due to our close connection with Citytrip Barcelona, a company that owns and manages multiple holiday-apartments in Barcelona, we have ample experience in all aspects surrounding home ownership. We are happy to share that experience with you, because we only care about one thing: having satisfied customers. There is nothing more beautiful than helping others in organizing the house of their dreams! I WANT TO ENJOY LIFE IN SPAIN! Before you start acquiring, it is important look up the cadastre to check some specific dafa concerning the property. We personally investigate the street and the surroundings on any form of noise hindrance, where the bins are located, traffic flow, etc. Obviously we also make a clear overview of the invisible costs that arise from yearly communal cost and municipality taxes. Who is the current owner? Is the property free of debts? If the selling party has the right of sale. How many square meters does the property really have. what is the final sum. when is the desired transfer date. demand a copy if the “cedula de habitat”. We guide the drafting of the temporary sales-contract. Search for and confirmation of the notary. Assist in the transfer to your name at the notary. Communicate with the bank concerning the payment of the seller. Request insurance of the property. Transfer the current gas, water, electricity and internet subscriptions to your name and enable automated payment. I REQUIRE PURCHASE SUPPORT ! Forget about the worries of a difficult sales process. 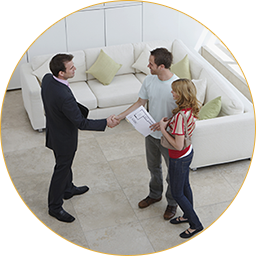 We guide you in the entire sales process of your property, from the administrative to the representative part. It is important to have local brokers informed of the opportunity and make sure that visits can be done easily. A great first impression on potential buyers is of utmost importance. With a great presentation the interest can be enhanced. We take care of this by for instance hiring professional photographers. Expose the property at multiple brokers. I WANT SALES SUPPORT ! We make sure that you can build your dream house without worries. Building a house is a complex process that often takes longer then expected in Spain. Don’t let it convert in a difficult process with loads of uncertainties, but use a construction manager that speaks the local language and that knows the habits in Spanish construction. We supervise the construction and renovation of your house. This can be done either with your own local contact or we can recommend contractors. A swift and pleasant building process depends entirely on contracting the right people. We have over 15 years of experience with several constructors. Accompany the selection of materials. I WANT TO BUILD MY DREAM HOME ! So everything is spick and span upon your return. If you stay abroad for a longer time, it is comforting to have a confidant that takes care of the small but important things here in Spain. We take care of the property until the owner or acquaintance moves in. We make sure that gas, water, electricity and internet all work well, empty the mailbox and clean everything to perfection. What is greater then entering your house through a beautifully maintained garden? We make sure that all flowers, plants and trees are in pristine condition when you come back. I WANT TO LEAVE WITHOUT WORRIES !